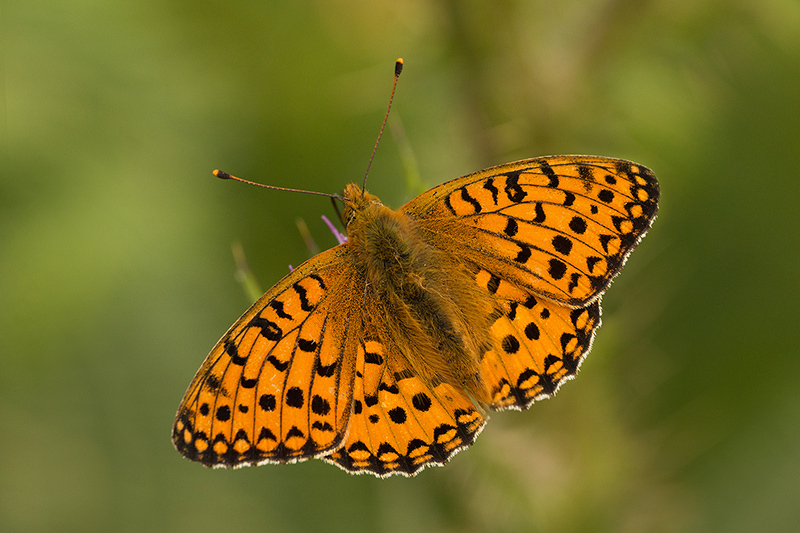 A widespread butterfly of open grassland habitats, the dark green fritillary is nonetheless hard to photograph as it flies strongly and does not rest for long. I captured this photograph on a steep hillside at Trentishoe Coombe in western Exmoor using a 300mm lens. Because I was looking down towards the thistles where the fritillaries were feeding, I was able to photograph the upperside with its wings almost parallel to my plane of focus and the background diffuse.